Having multiple effective and well-thought out content marketing strategies in place is a surefire way to improve your company’s online presence and actively reach your target audiences. Not only do you have to continuously put out quality content, but you also have to conduct proper market research to ensure that the information, blog posts, and articles you’re producing are all in high demand. 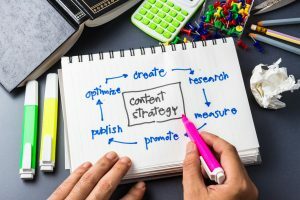 Hiring an experienced and reputable content marketing company can help you figure out the right techniques you should be using for your business and also put things into clear perspective for you. Here are a few useful tips for improving your content marketing strategies. It’s important to have an end goal and come up with a palpable online marketing strategy (or several of them) to help you achieve that objective. In some cases, you might have more than one overall objective and that’s perfectly acceptable as well. Just make sure that you come up with more achievable goals that can ultimately complete the bigger picture. Preparation and organization is the key to establishing a successful online persona and hone in on your strengths while correcting your weaknesses. Creating a step-by-step plan of execution is the cornerstone of a successful online marketing strategy. After all, thinking of the ideas is the easy part, but finding feasible ways of realizing them is where the real challenge lies. Qualified online marketing companies are capable of helping you find the right strategies and audiences to exceed your standards and help you expand your bottom line without breaking your marketing budget. Finding strong online marketing strategies is a marathon, not a race and that means that you’ll go through a lot of trial and error. At the same time, you still need to remain competitive and offer your prospective customers something completely unique from your competition. Having a strong contingency plan in effect is also effective. The rules of traditional marketing methods dictate that you need to constantly keep an open line of communication amongst your marketing department and this still holds true in the online world. You should continue to hold regular weekly, biweekly, or monthly meetings to make sure that everyone is always on the same page. Aside from being in agreement in terms of which methods work best, these meetings are also essential for allowing your marketing team the opportunity to communicate new ideas and inspire one another. Defining your target audience is undoubtedly one of the most important aspects of coming up with an effective online marketing scheme. There’s no way you could possibly design a product or service without first knowing who the primary demographic is and this is where extensive market research is a huge asset. Knowing your audience, what their likes and dislikes are, and what they expect to see from your company can help you predict any industry trends well in advance. Use social media and other online platforms to reach out directly to your prospective customers and gather feedback in terms of what they want and expect from your company. This will show your clients that you value their opinions and their business. While you should publish new and interesting industry-related content as often as you possibly can, the type and format of the content you create is equally important. Try to kill several birds with one stone by creating and producing content that easily lends itself to multiple platforms. This guarantees that the same content will be seen by a wide range of people across multiple platforms and on different web sites. The same content you create for a blog post can also be shortlinked and shared on various social media platforms such as Facebook, Twitter, Instagram, Snapchat, and LinkedIn or any other web sites. The more avenues you can take to get your content noticed, the better. This is where hiring an SEO expert with exceptional online market research skills really comes in handy because every single post or article you write should be optimized for different search engines. While Google is the most widely used, Bing and Yahoo are also upstanding, so make sure your content is prepared to be shared on as many platforms as possible and take every necessary step to optimize it accordingly. Google Analytics is just one of many online applications that can help you track how well your content is doing on any given search engine. Using these tools can help you gain a strong understanding of what’s working for your online marketing and what you can improve upon. As mentioned, there’s no guaranteed overnight route to success when it comes to online marketing. You’ll have to work hard to figure out the different strategies that work for your business and having a digital trail to review can help. Once in a while, you should audit your web site and either remove or update old content so that it’s more relevant. Make sure you do this on a regular basis (at least a few times throughout the year) to ascertain that your web site is in proper working condition and free of broken links or other problems. If you haven’t done this in a long time, then you might have your work cut out for you and hiring an online marketing company with SEO experts is your best course of action. 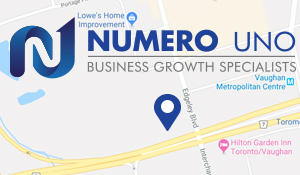 As one of the leading SEO and online marketing companies in North America, Numero Uno Web Solutions has helped countless small- and medium-sized businesses build and improve their marketing strategies. We’ve worked with companies all across Canada and the United States to help them rank higher on Google and other search engines. For more information on how we can help you build and maintain a strong online presence through our expert advice, speak to a member of our marketing team today!